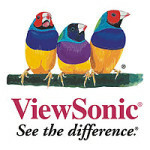 Viewsonic comes out with two new tablets and Viewsonic calls them Viewpad 7 and Viewpad 10. Although Viewsonic launches them both in the same timeline but each Viewpad brings different taste to the world of tablet PC. Let us tell you why you should get one for yourself! Apple enterprise has really create wonders in last few years and especially after the worldwide success of Apple`s iconic iPods, iPhones, iPads and MacBook Airs, we believe Apple has every right to be happy and successful. 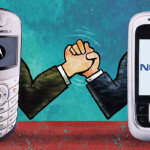 Apple has left its rival vendors RIM and Sony Ericsson far behind in the race to become the world’s fourth top mobile phone vendor in the third quarter of 2010. 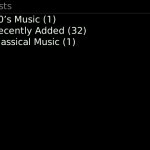 If you have a whole iTunes playlist that you have made over months but no Apple iPhone or iPod to play it with then we have just the solution for you. For all you out there who don’t have an Apple iPhone/iPod with themselves, wish to change their Apple iPhone but not their iTunes playlist or don’t want to carry an Apple iPod along with their Android mobile then we have just one simple WithMe application that can make all the misery go away. (Assuming you own an Android smartphone). 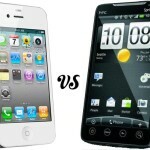 Apple iPhone or HTC smartphone, It’s strictly comes to personal style and choice when it down to Apple iPhone or HTC 7 Mozart. Both high-end products from mobile giants like Apple and HTC come loaded with innovation and technology blasts. We state to you simple facts about these high tech mobile models and the choice is yours! Apple iPhone has been in headlines since the time of its creation and contractors have been trying to grab their hands on this stylish and amazing Apple product ever since. You must have seen headlines like “Apple iPhone comes to AT&T”, “Apple iPhone comes to Verizon”, “Apple iPhone comes with 2 year contract”. But it seems like picture is about to change as Apple likes to give surprises. Samsung mobile phone seems to have a busy holiday season coming up. With one hand Samsung is bagging deals for its Galaxy Tab content and on the other hand Samsung is about to release a sequel to its first Google Phone, the Nexus one. Rumors have it that Google might revive the Nexus phone line at the upcoming Samsung’s “Android” event due this November 8th. Apple, the iPod, iPhone, iPad and Mac giant, comes up with everything cool. There are other big names in the market that compete against the trends-setting Apple products, but the thing that is even more interesting is the battle inside the Apple family. Apple is the MacBook Air and iPad creator, and may be Apple doesn’t want to take sides with any of its babies, people take one. 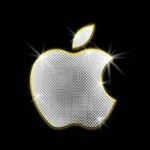 Which Apple will you choose for yourself; Apple`s latest MacBook Air or Apple`s latest revolutionary iPad tablets? The competition is fierce! Apple iPod changed the music culture worldwide in a way no other product did ever before. 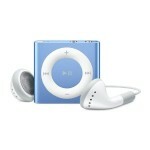 Apple with its stylish and futuristic iPods lifted everybody`s toes in the air and on the music. This iconic music player has been one of the biggest hits ever and Apple keeps coming back for more. Samsung, the Korean giant, couldn’t have made a better Apple iPad competitor. With Samsung Galaxy Tab, the audience is due to experience the magic of Samsung yet again. Samsung smartphones are well known for being dandy, classy and cost effective. 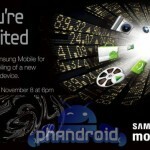 Now get ready to be blown away by the upcoming Samsung Galaxy Tab that is a product of teamwork!